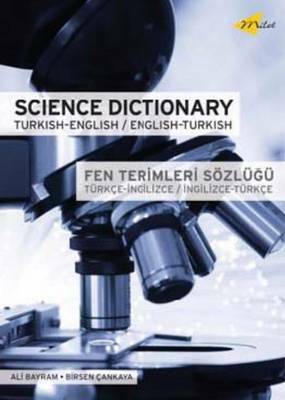 With over 60,000 entries, this is the most current and comprehensive Turkish-English student science dictionary available. Subjects covered include astronomy, biology, chemistry, computing, earth sciences, anatomy, linguistics, medicine, psychology and many more. Appendices cover the periodic table, geological timescale and animal and plant classification. Presented in a clear, accessible format with an attractive, contemporary cover and design, including virtual thumb tags for easy reference. Ali Bayram is a Turkish lexicographer; an editor of bilingual dictionaries, grammar, and teaching books; and the author of English from All Aspects. Birsen Cankaya is a Turkish educationalist, a lexicographer, and the author of a course book employing a step-by-step method to learning Turkish. They both live in Istanbul, Turkey.